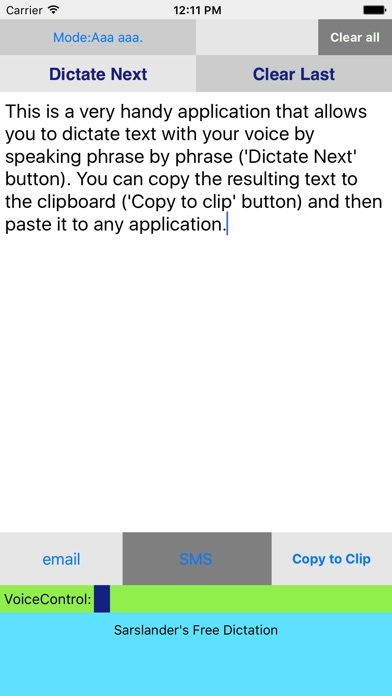 This is a very handy application that allows you to dictate text with your voice by speaking phrase by phrase ('Dictate Next' button). You can copy the resulting text to the clipboard ('Copy' button) and then paste it to any application. 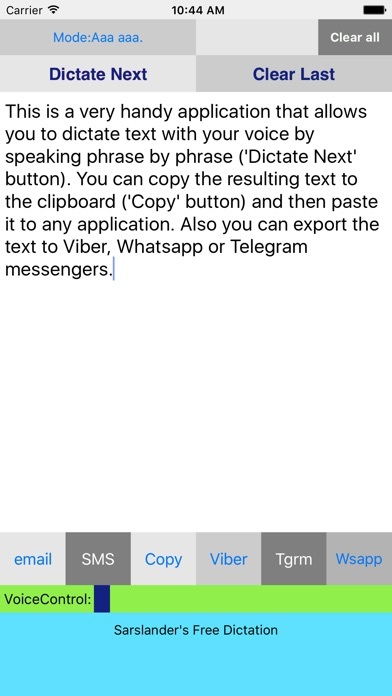 Also you can export the text to Viber, Whatsapp or Telegram messengers.